A sprinkling of Cape Town and a dash of Stellenbosch. This fabulous Gourmet South Africa tour can be your gateway into the charm and hospitality of this vibrant nation. Stay at breathtaking Relais & Châteaux properties known for their gourmet cuisine, refined wines and exceptional care. Yes, that’s right. You have just landed in one of the most breathtaking cities in the world . Our representatives will greet you at Cape Town International Airport and whisk you away to the stunning Ellerman House, a destination in itself. Ellerman House is the quintessential address in Cape Town. This urban ultra-chic private retreat is for the world traveller who seeks and demands the very best available. The main quarters at Ellerman House offer a choice of 9 luxurious rooms and 2 spacious suites; each offers plush bedrooms with en-suite and original South African art adorning the walls. Discreet service and exceptional accommodation standards have earned Ellerman House Relais et Chateaux status and is one of only two properties in Cape Town that defines not only the meaning of comfort but exceptional service and excellence. Elevated views over the azure seas below can be appreciated from the lawn terrace and expansive heated swimming pool. 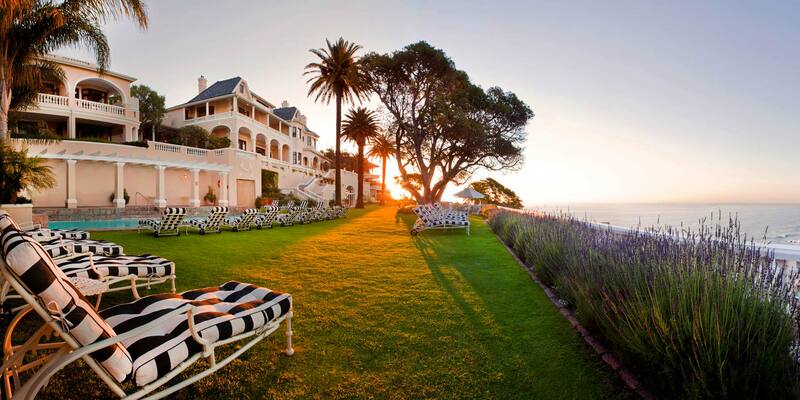 Relax at Ellerman House and enjoy stunning views of the Atlantic. The property boasts one of South Africa’s largest privately owned art collections as well as in the state-of-the-art contemporary art gallery. There is a Spa and fully equipped gym to invigorate the senses. 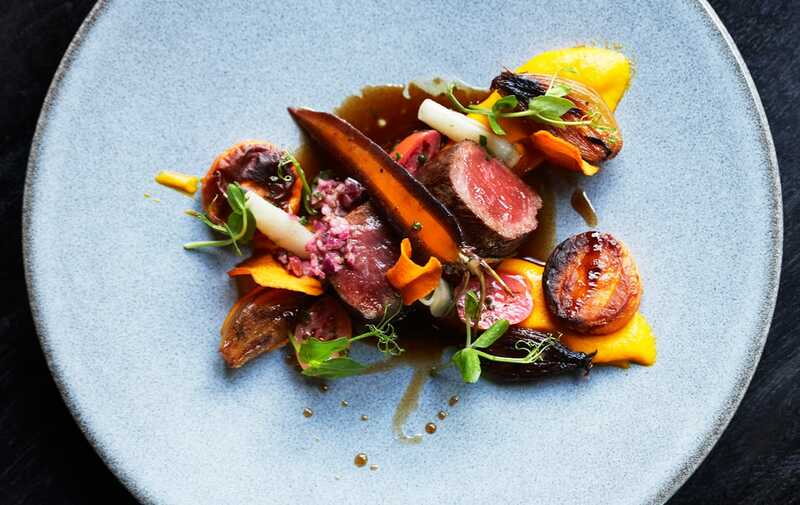 Gourmet meals are prepared by acclaimed chefs and paired with South Africa’s finest vintage wines, from the award winning wine cellar. Cape Point: Where land meets ocean and man meets history. A sandstone mountain range stretches like a spine across the Cape Peninsula, from the iconic Table Mountain through the towering Twelve Apostles and down, southwards, to Cape Point. The journey to the edge of Africa will take you through beautiful white sandy beaches and scenic fishing villages to unravel a myriad of spectacular scenic diversity within the Cape Point Nature Reserve. Dazzling flora and fauna unveil an incredible display of variety and is the world’s smallest floral kingdom. The scenic beauty of Cape Point is not its sole allure; it is also an international icon of great historical interest because of its rich maritime history. After two-days of sightseeing in Cape Town, we are going to take you to the winelands of Stellenbosch to your own exclusive Deluxe Lodge at Delaire Graff. Each lodge at Delaire Estate has a stunning view of the surrounding wineries. 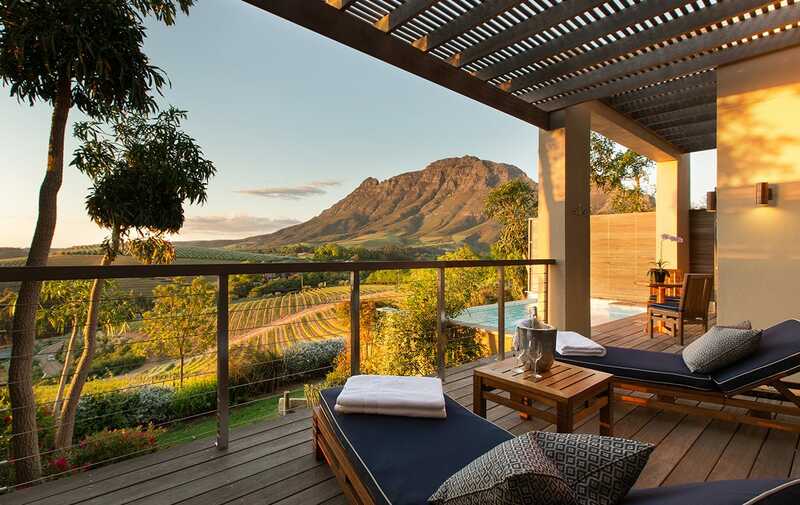 Upon arrival in Stellenbosch, make your way up to Delaire Graff Lodges & Spa. 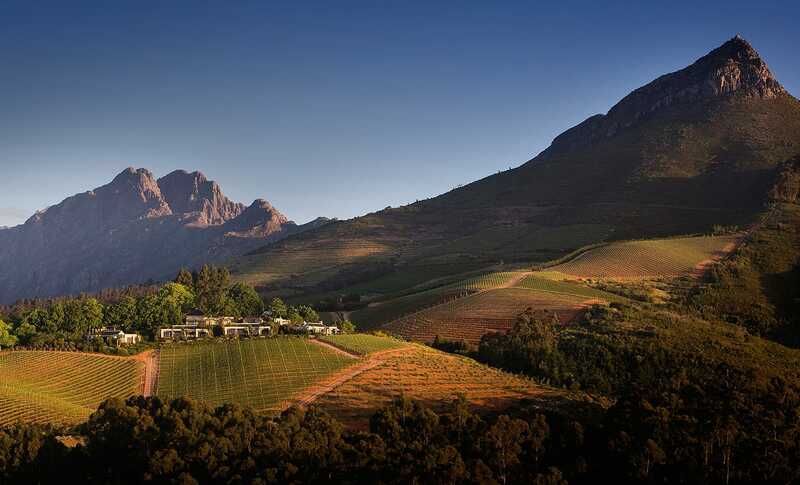 Situated on the highest crest of the magnificent Helshoogte Mountain Pass linking the Cape’s two leading wine districts – Stellenbosch and Franschhoek – the Delaire Graff Estate has one of the leading restaurants and boutique hotels in this illustrious vineyard region, if not in South Africa itself. Enjoy global cuisine of the highest refinement at Delaire. This stunning boutique property comprises the Owner’s Lodge incorporating a Log Fireplace, two bedrooms and a private 37 square meter Heated Pool. There are also eight, 80 square meter Deluxe and Luxury Lodges, each containing a private Heated Infinity Pool and a Butler’s Kitchen. All lodges feature double volume ceilings with exposed timber trusses and custom designed furniture created exclusively for Delaire. The lodges are all perfectly situated to take maximum advantage of the views over the local hills and vineyards. The unique luxury spa experience within a truly awe-inspiring setting offers valued guests a holistic approach to health and wellbeing. With four treatment suites, hair care studio and additional relaxation and fitness areas, including a pool, state of the art gym, Pilates studio and the Indochine restaurant providing delicious Asian Fusion cuisine. In lush valleys protected by towering mountain ranges, the scenic Cape Winelands produce some of the finest wines in the world. A day tour exploring this verdant region takes in world- class wines, delicious food and resplendent scenery. Through charming towns and wine estates the history of this region comes alive in architecture and fine vintages. The Cape Winelands produce some of the best wines in the world. In 1659 the first wine was pressed from Cape Grapes and Governor Simon van der Stel realised the great potential of the fertile Cape lands. Since then, a dynamic and thriving wine industry has grown around the rich soils of the Breede River Valley. Wine estates are scattered like treasures throughout the region; grouped around the historic towns of Paarl, Stellenbosch and Franschhoek. With so many wines to choose from it is easy to feel a little overwhelmed. Let our expert guides take care of the details and lead you on a compelling journey around the Cape Winelands. Is it time to go back home already? Only if you want it to be! Transport back to Cape Town has been arranged for your onwards flight. But we don’t think it’s time to leave South Africa yet. Why don’t you top of this vacation with a couple of nights of safari at the ultra-chic Tswalu? A trip to South Africa like no other. Contact our Private Travel Team and we’d be happy to plan this out for you. This tour begins and ends in Cape Town. A safari can be added to top off your superb vacation.